Other stars of the deep team were Nikita Kucherov, who led the league in points (120) and assists (87); and Andrei Vasilevskiy, who was a rock in goal. 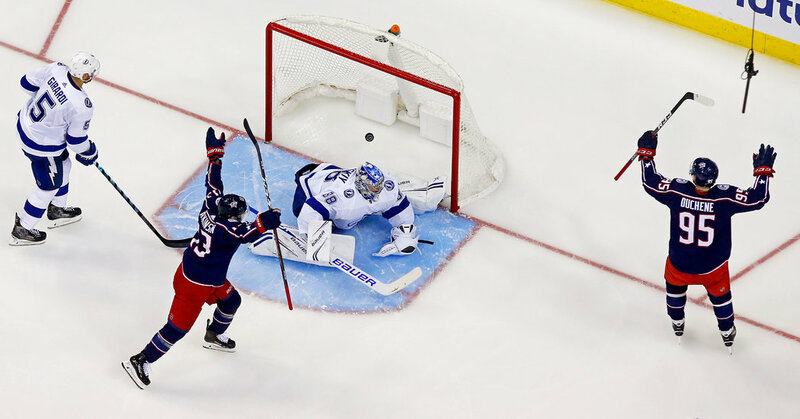 Should the Lightning be swept on Tuesday night, there is a case to be made that the team will be the biggest playoff underachiever in sports history. The most egregious failure probably belongs to the 2007 Dallas Mavericks , whose sterling 67-15 record behind Dirk Nowitzki, Josh Howard and Jason Terry was tarnished by a four-games-to-two loss to the eighth-seeded Warriors. But the Mariners made it through one playoff round before losing to the Yankees, and the Cubs, playing in an era when the World Series was the entire postseason, lost four games to two. And Virginia went on to win the title the next year, a possible sign of hope for the Lightning if they lose Tuesday night.